Six architectural teams have today been invited to the second stage of the tender process to design a prominent public space in Croydon’s town centre. The historical importance of grounds once owned by Archbishops of Canterbury are to be recognised and protected, if proposals to revise a council planning document are approved. Croydon Council has been recognised for its work to get hundreds of residents into jobs and support local businesses – by being shortlisted in three categories of an awards ceremony celebrating London’s small business initiatives. Croydon Council’s approach to preventing homelessness and its post-Grenfell fire sprinkler programme have been named finalists ahead of a national awards ceremony. 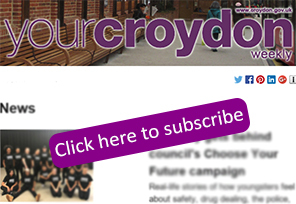 Croydon’s Young Mayor and Deputy Young Mayor have given thousands of pounds to four projects designed by young people, for young people, ranging from the creation of a community study hub, to a series of anti-knife crime videos. People who want to build and manage their own community-led affordable homes in the borough are being urged to join a site visit of the plot in Upper Norwood where the first scheme will be built. Croydon Council staff gave up an hour of their time on Thursday 11 April, volunteering to clear up the area around Wandle Park. Croydon Council has welcomed a potential ban on private landlords carrying out evictions with no good reason – but called on Government to give renters even greater protection by reviewing Universal Credit.